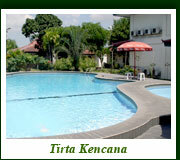 Brongto Hotel is one of the three-star hotels in Yogyakarta. 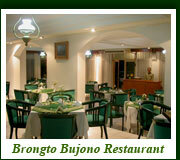 Unlike other hotels, Brongto hotel was a mansion of a nobleman that is well maintained up to now. This is a very unique fact and almost no other such a mansion, even in Indonesia. Brongto hotel was built on a land of around 2 hectares that is located in the south part of Sultan Palace. In the past, this area was the dwelling place for the noblemen of Yogyakarta Kingdom so that the Javanese nuance is still prominent. 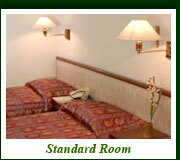 Most of the rooms are in the form of bungalows with private terrace and beautiful garden. 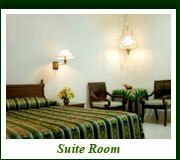 Each room is equipped with furniture and lamps with the characteristics of Jogja. All these originality makes Brongto hotel so special that many foreign tourists from Europe, especially Germany and Netherlands enjoy staying here. In order to improve the service quality and comfort, Brongto hotel has extended the building for some new rooms and a swimming pool for children and adults. This is done in response to increasing demand from companies, schools and universities that are interested in using Brongto hotel to hold some events. Brongto hotel has very wide parking area that accommodates some big coaches and private cars. 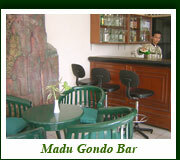 Brongto hotel has 2 suite rooms, 24 deluxe rooms, 36 standard rooms, and 1 family room named Madukoro. Most of the rooms are bungalows with personal terrace and beautiful garden. 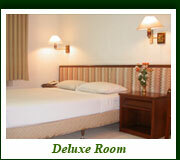 Each room is equipped with furniture and lamps of special characteristic of Jogja.